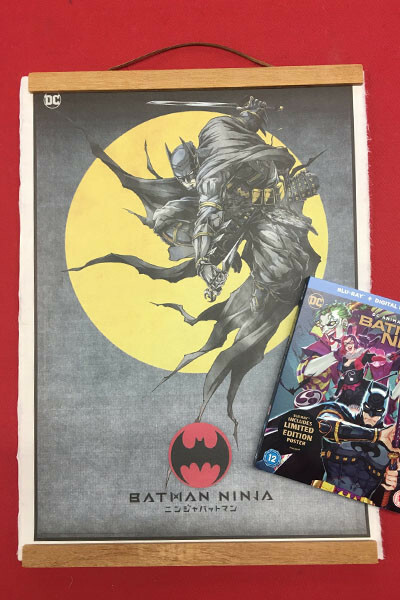 Prepare to witness the Dark Knight, alongside many of his most famed allies and infamous foes, in an eye-popping anime display you’ve never seen before when Warner Bros. Japan, DC Entertainment and Warner Bros. Home Entertainment present BATMAN NINJA. To celebrate its release out now on Blu-Ray™ Steelbook, Blu-Ray™ and DVD we’re giving away a Blu-ray™ copy of the film to one lucky winner plus a special scroll-mounted giclée print of the stunning artwork, custom printed on handmade paper from Shikoku Island, Japan. Starring Roger Craig Smith as Batman, Tony Hale as Joker, Grey Griffin as Catwoman and Tara Strong as Harley Quinn, this stunning visual is the creative result of a trio of anime’s finest filmmakers director Jumpei Mizusaki, writer Kazuki Nakashima and character designer Takashi Okazaki. The script was then reinterpreted and rewritten for English-language distribution by award-winning screenwriters Leo Chu and Eric Garcia, Benjamin Melniker and Michael Uslan are Executive Producers. Which character does Tony Hale voice? 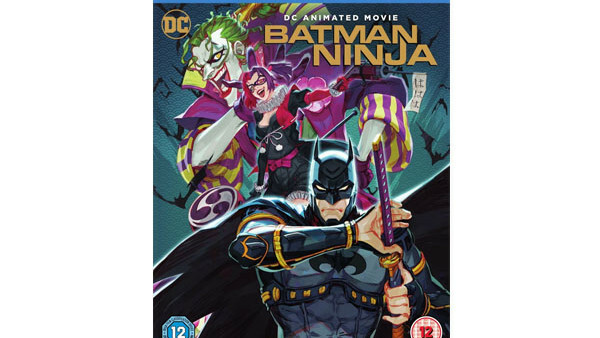 BATMAN NINJA is out now on Digital Download, Blu-Ray™ Steelbook, Blu-Ray™ and DVD. BATMAN and all related characters and elements are trademarks of and © DC Comics. © 2018 Warner Bros. Entertainment Inc.